Any excuse to make a pizza and I’m in, which is why these Tomato Basil Pizza Rolls are happening today! A few months back one of my favorite people on the planet, Tracy from Shutterbean, made pizza rolls and I just about hopped on the first flight up to the Bay Area and knocked on her door for the leftovers. It was pure genius. Basically a pizza in cinnamon roll form. Tracy – she’s a genius. I’ve been wanting to make them for months now and seeing as how Super Bowl is just a hop, skip and a jump away, I figured today was the day. They’re freaking delicious, you can add in any type of pizza toppings – various kinds of cheese, pepperoni, shredded chicken and pineapple, the possibilities are endless! I’m all about a Tomato Basil Pizza Roll because I’m fairly certain 50% of my body is made up of cheese and basil. So, without further ado… meet your new best friend! On a clean surface, roll out pizza dough into a rectangular shape, roughly 9 x 16 inches. Spread the marinara sauce evenly on the rolled out dough, leaving about a 1" border around the dough followed by dollops of the pesto. Top with 1 cup of shredded mozzarella cheese, all the shredded fontina, a few basil leaves and 1/8 cup Parmesan cheese. Carefully, lift up the bottom edge of the dough and roll it forward into a tight cylinder. Place dough cylinder, seam side down, on a cutting board and, using a thin, sharp knife, cut cylinder crosswise into 8 equal-size slices. 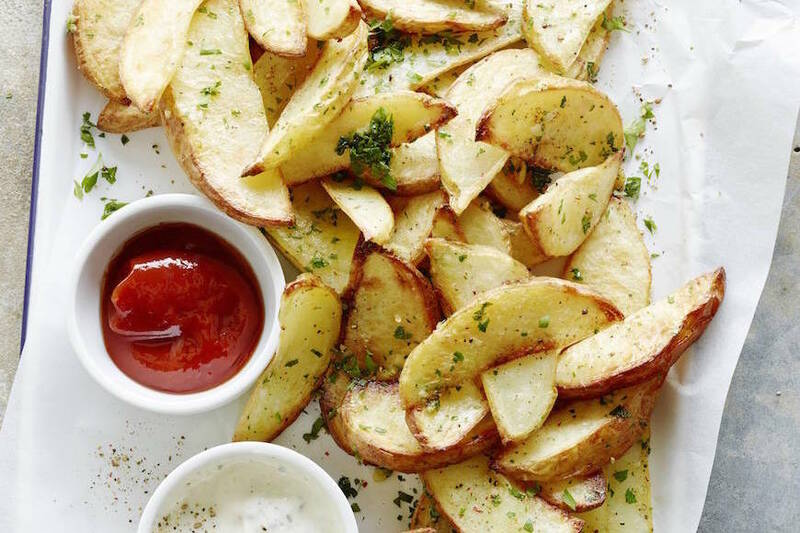 Nestle the slices, cut sides up on a parchment lined baking sheet. Brush 1 tablespoon olive oil onto the edges of the dough and bake until golden brown about 15-20 minutes. 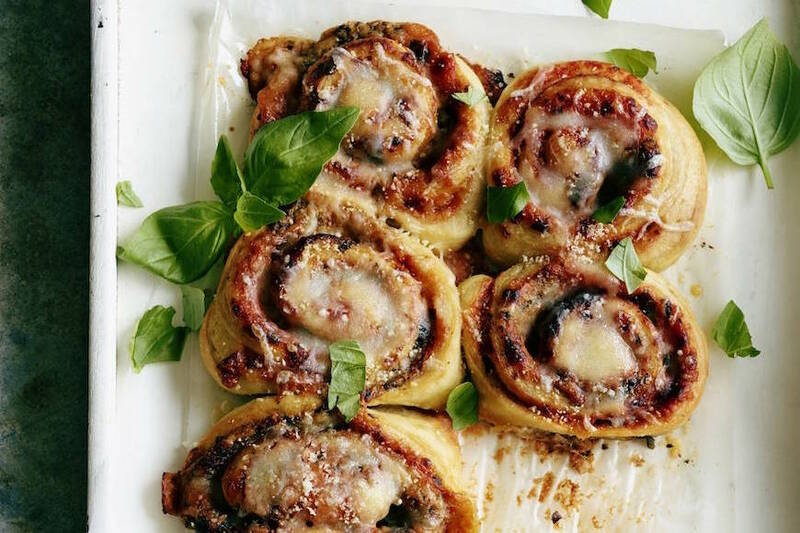 In the last two minutes of baking, pull rolls out of the oven and top with extra shredded mozzarella and a light sprinkle of the remaining Parmesan cheese. Place rolls back into oven and bake until cheese melts. Remove rolls from the oven, let rest for 5 minutes and sprinkle with basil before serving. These are b-e-a-u-t-i-f-u-l! 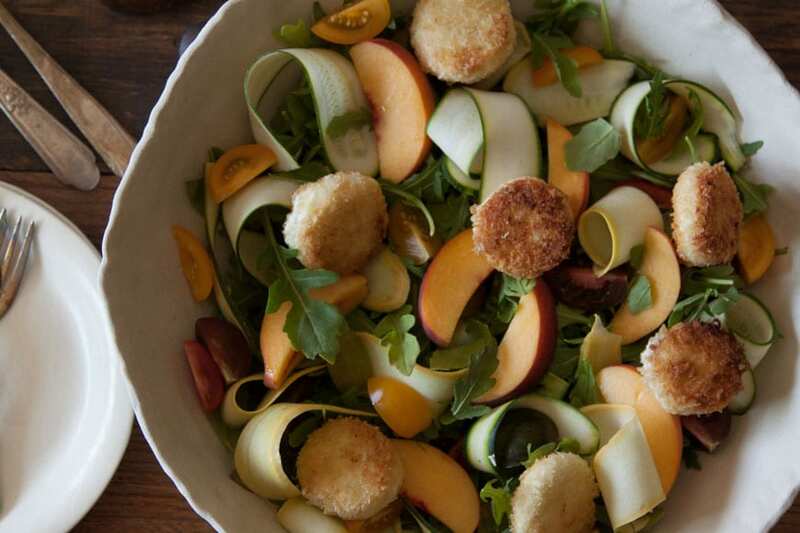 As always, the photography is on point but I am thinking this recipe is a must try! Thanks for sharing! These rolls sound SO good!! I can never say no to beautiful pizza flavoured things like this! 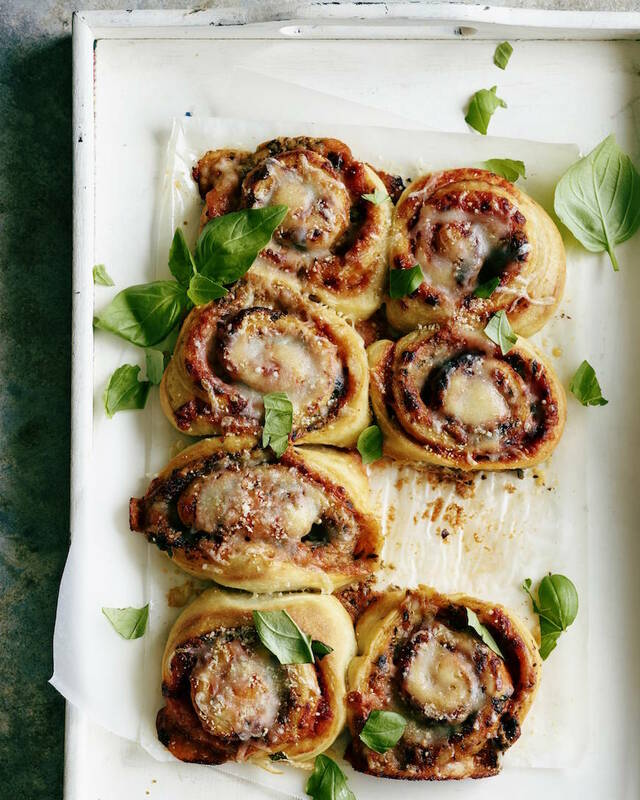 PIZZA SWIRLS! These sound great! I enjoy your reading your recipes and hope to start making some of them soon. Had no idea you could make home made humus with canned chickpeas! 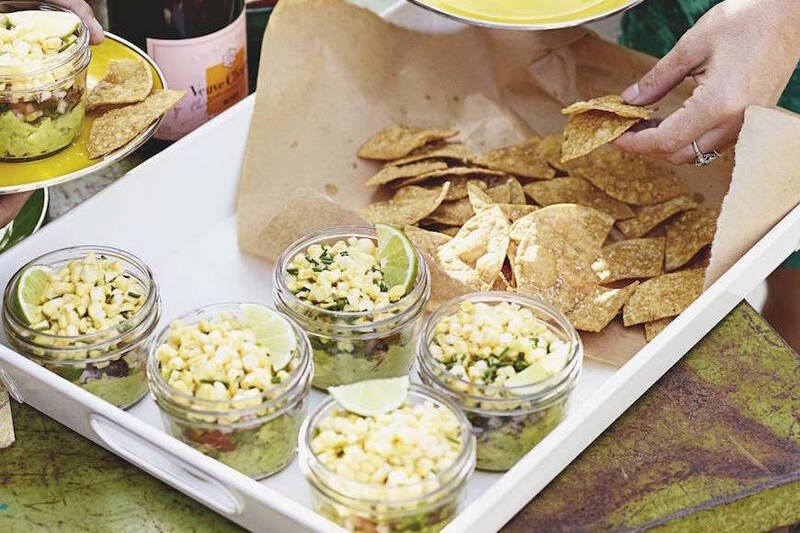 Keep the yummy ideas coming! YUM!!!!! These look fantastic!! So glad I just picked up some pizza dough! These look so good!! 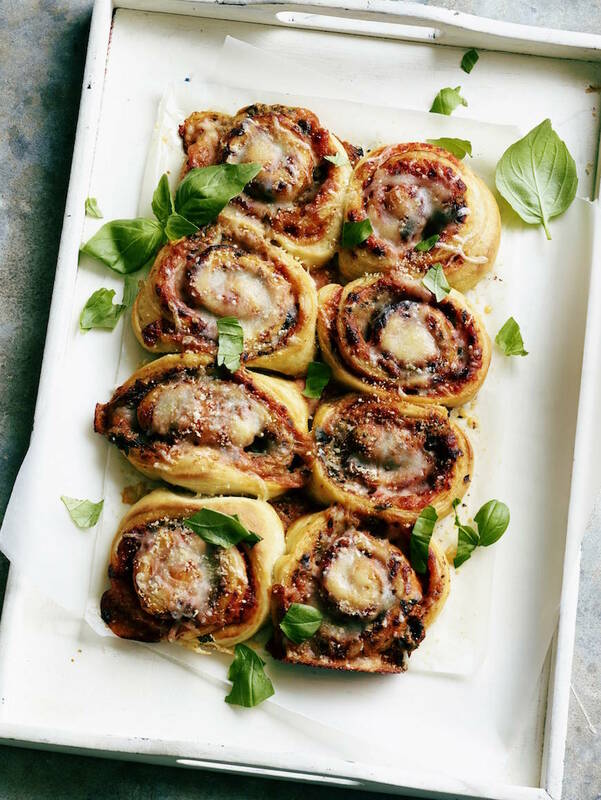 It’s like a pizza in roll form. Amazing!! Yum! Used garden tomatoes and basil. On my short list! Can you clarify the mozzarella cheese instructions? It says 1 cup mozzarella cheese, divided but then it says to use 1 cup before rolling. And then the extra while baking. Not a big deal. I can wing it but just curious what you did. Thanks for the recipe!